Number of championships: Ligue 1 – 7 times; Ligue 2 – 3 times; Championnat de France amateur – 3 times. Number of Cup wins: Coupe de France – 5 times; Coupe de la Ligue – 1 time; Trophée des champions – 4 times; Coupe Charles Drago – 1 time; Coupe Gambardella – 3 times; Coppa delle Alpi – 3 times. * Book Official AS Monaco Tickets Now! * AS Monaco Tickets Have High Demand, Don't Miss The Opportunity. * AS Monaco Tickets Are 100% Guaranteed. AS Monaco FC, often shortened to "Monaco", are a Monégasque football club most well-known for competing in Ligue 1 - the top tier of French football. Despite being based in Monaco, the club plays in the French football league and have proved themselves to be one of the most successful clubs in French football. AS Monaco FC was founded in 1924, as the result of the unification of several local French and Monaco clubs. Monaco spent its first years in amateur regional divisions, where it succeeded quite well, and in 1933 it joined the Second Division. However, the team failed to make any significant achievements at that time, it was relegated a year later. 14 years passed (1947) until Monaco re-gained its status and returned to the Second Division. In 1953, Monaco was promoted once again, but this time to the prestigious First Division. In 1960, Monaco saw its first professional win, of the Coupe de France; and in 1961 it won the French Championship. 1963 was a victorious year as the team won a double – both in the League and the Cup. Unfortunately, the next few years were not as successful, and Monaco alternated between the Second Division and the First Division. However, with the return of former team coach, Lucien Leduc, Monaco bounced back and won the Championship once again in 1978. Their successful run carried on into the 1980s, where Monaco won a series of competitions. After the appointment of Arséne Wenger as manager, Monaco won the league in 1988 and the Coupe de France in 1991. Two more League Championships were won in 1997 and 2000. But in the early 2000s Monaco faced financial problems and the club's debt of €50 million almost led the team to relegation to the Second Division in 2003. 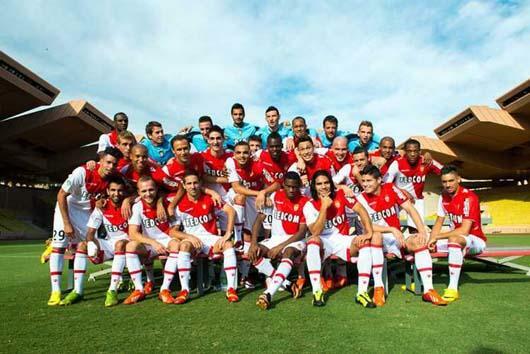 But after several years of turmoil and frequent changes of managers, Monaco was relegated to the Ligue 2 in 2010-11. Italian manger Claudio Ranieri led the team to win the Ligue 2 in 2013. What is AS Monaco's Most Successful Period? To date, Monaco's most successful period was the 1980s, when the team won a title almost every other year. The successful run began when the team won the Coupe de France in 1980 and 1985, they came first in Ligue 2 on two separate occasions in 1982 and 1988, as well as the Trophée des champions in 1985 and the Coppa delle Alpi in 1983. How to Buy AS Monaco Tickets on Ticketgum? Pick a Monaco game from the events selection above. Choose your desired seating section and specify the number of tickets needed. Enter your delivery address (regular or hotel) and write the address information. Create an account on Ticketgum, or log-in. Select a payment method for you and enter your details. Confirm your Monaco tickets purchase and wait for a confirmation email. Receive your AS Monaco tickets and enjoy the game!